Searching for a lovely holiday cottage in Cornwall? Find a fantastic holiday home in Cornwall for a West Country holiday to remember in the most South Westerly point of mainland England. Much of Cornwall is coastal which means that even if you decide to stay inland in the Cornish countryside on a country cottage break, from most places, the coast is still likely to be just an easy car drive away. And there are plenty of Cornish seaside cottages to choose from. Cornwall is a popular place for family self-catering holidays with the British during the summer time due to its excellent coastline, sandy beaches and better than average climate for the UK. Hit TV series like Poldark which showcase Cornwall's stunning coastal landscapes and countryside have added to the county's popularity. Being such a holiday hot spot, self catering accommodation in Cornwall ranges from quiet country cottages to larger holiday complexes, some with lots of facilities including pools and games rooms. It’s best to book well in advance for a self catering holiday in Cornwall. Most people head to Cornwall to spend time on the beaches and to enjoy the quaint Cornish towns and villages. The small villages are also good locations for cottage breaks because they have the amenities holidaymakers want. The Eden Project is also located in Cornwall, near St Austell. In the North East of Cornwall there is Bodmin Moor, a large Moorland which is popular with walkers. The Lizard peninsula in Cornwall is known for its beauty which has been recognised by its being declared an area of outstanding natural beauty. Cornwall is a great destination for a country cottage holiday, with numerous sandy beaches, coves and pretty villages to discover, we are sure that you will find that attractive and comfortable holiday cottage, apartment or log cabin for your next Cornish break. Rent a country cottage near a pub for a self catering holiday that allows you to eat in or eat out depending on how you feel. 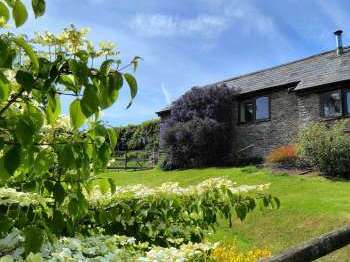 Self catering country cottages, holiday cottages, apartments, country houses and all types of self-catering holiday homes in Cornwall England, UK near a golf course.